For several people getting ready for the Queen City Marathon, the past week marked the most gruelling training runs they’ve done yet, in hot and smoky conditions that have been a battle for some. For several people getting ready for the Queen City Marathon, the past week marked the most gruelling training runs they've done yet, in hot and smoky conditions that have been a battle for some. 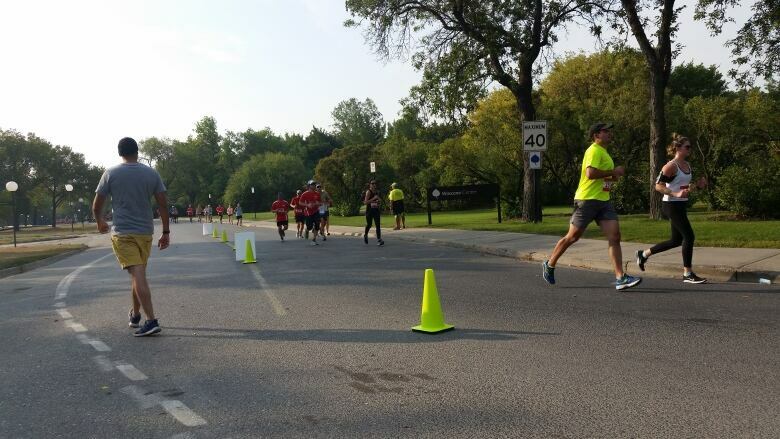 "Honestly, it's slowed down a bunch of us," said Michael Dahlman, marathon clinic instructor and assistant manager at Regina's Running Room. "You do feel a little bit more congested, and it feels a little bit tougher to breathe," he said. "But at the same time, as long as you're drinking water, and staying hydrated, and eating normal — as long as you're going through the regular regime, you get through it." "It takes a little bit more effort, right?" Dahlman will be serving as a five-hour pace buddy for this year's run, and is helping people in their training for the event. This week saw temperatures pushing and breaking the 30 degree mark at points, while on Friday, Environment Canada issued air quality alerts for the entire province, with smoky conditions persisting through Saturday. Safe to run in smoke? Dr. Chris Carlsten, director of the Air Pollution Exposure Laboratory at the University of British Columbia, told CBC News that high Air Quality Health Index levels usually aren't of immediate concern to the general public — just those with existing respiratory or cardiovascular conditions, as well as the elderly and the very young. Still, he advises staying inside and avoiding strenuous physical activity when air quality is poor. "It's unlikely to be acutely dangerous for those who are healthy, but nonetheless it can be irritating," Carlsten said. "And therefore decreasing, say, the intensity of a run or a bike ride, or even maybe just skipping those activities for today and possibly tomorrow is probably smart just because of the irritating quality of these higher levels of pollution." Decreasing the intensity, or if needed, skipping a run in smoky conditions, is what Dahlman advises as well, along with training earlier in the morning or later in the evening. This past week marked the point before the marathon where runners will typically do their hardest runs. 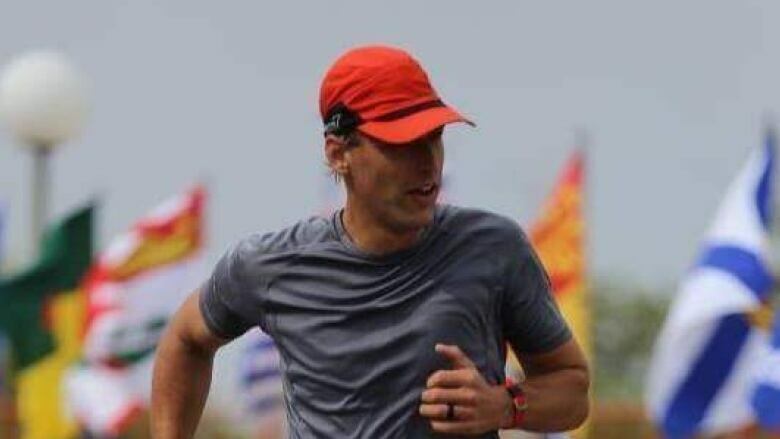 Dahlman trained alongside a group to complete a 38 kilometre run on Sunday. From here on in, their training will slowly taper down to avoid injury or strain before the Sept. 9 marathon, in which they'll hope to have a break from extreme heat and smoke. "You train in the worst of conditions to hopefully run in better conditions," he said. While their efforts might boggle some, Dahlman said the drive to do better each year brings people back to the marathon, year after year. Shelley Cook, a fellow pace bunny, agrees. She says the haze or smoke rarely affects her, even though hot weather may sometimes slow her down. 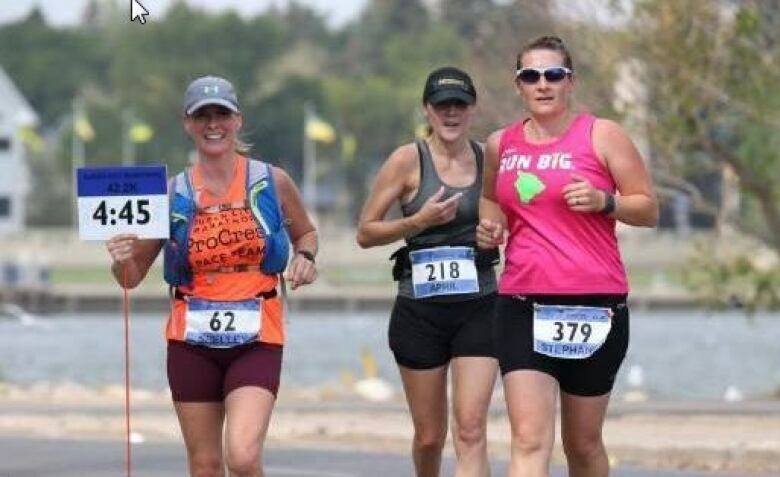 But since she started running four years ago at the age of 40, she's discovered a passion for running, for the endorphins it releases, and the joy of being with her running buddies. For her, that's motivation enough to face any condition and persist. "It makes me feel good. It's a natural high," Cook said. "It just makes you feel on top of the world."